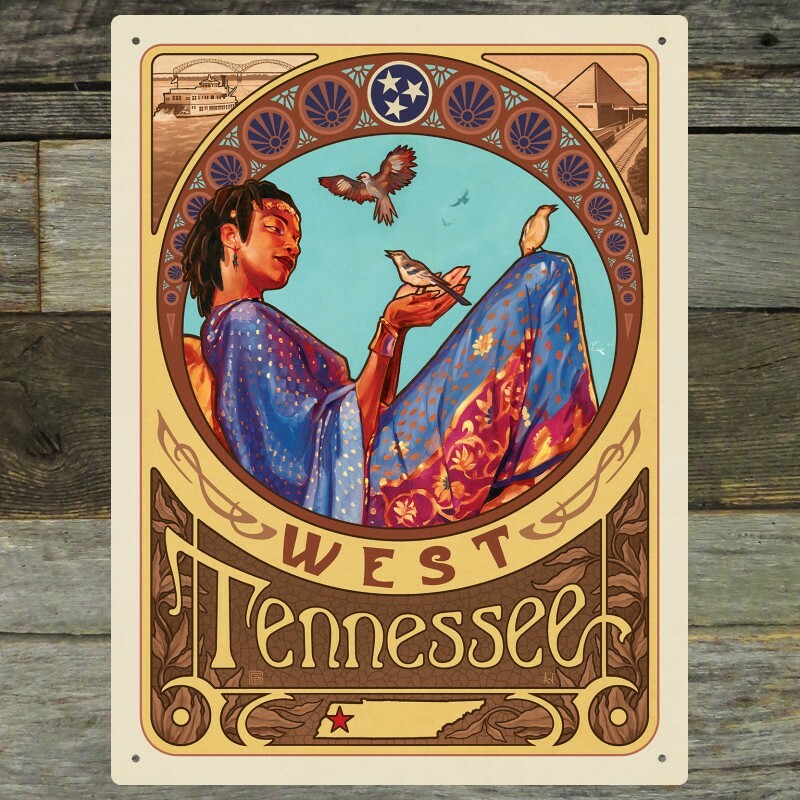 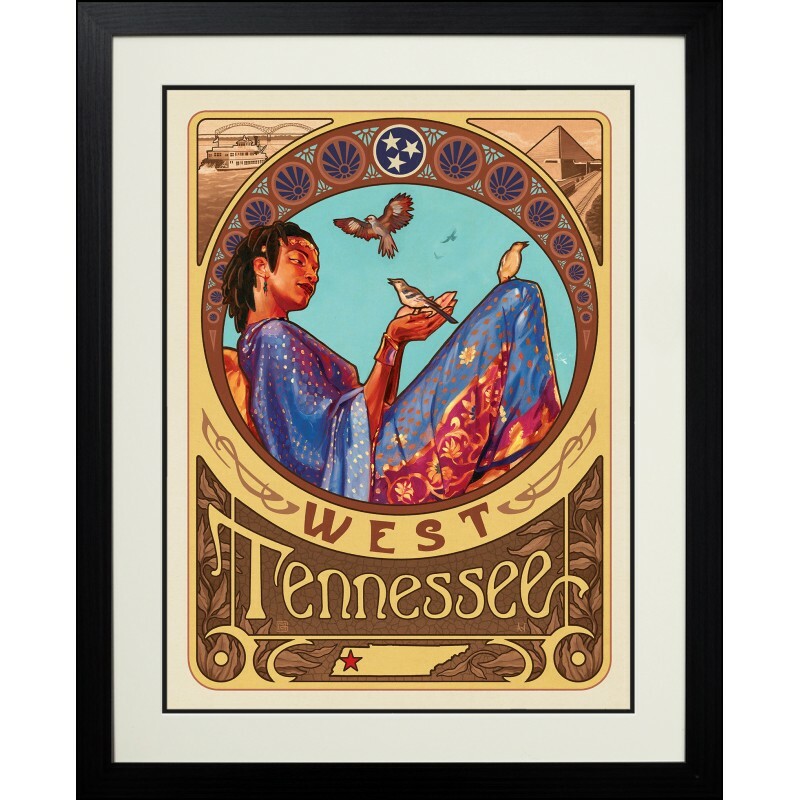 We created this triptych to celebrate the diverse beauty and history of our home state of Tennessee. 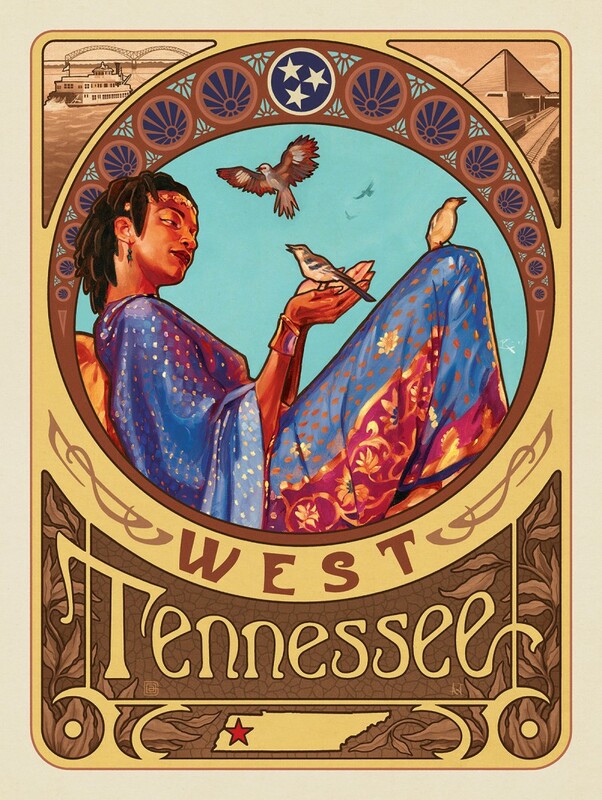 Styled after Alphonse Mucha's Art Nouveau prints, Kai Carpenter painted the three graces in oil and Aaron Johnson took them and rendered 3 beautiful poster designs. 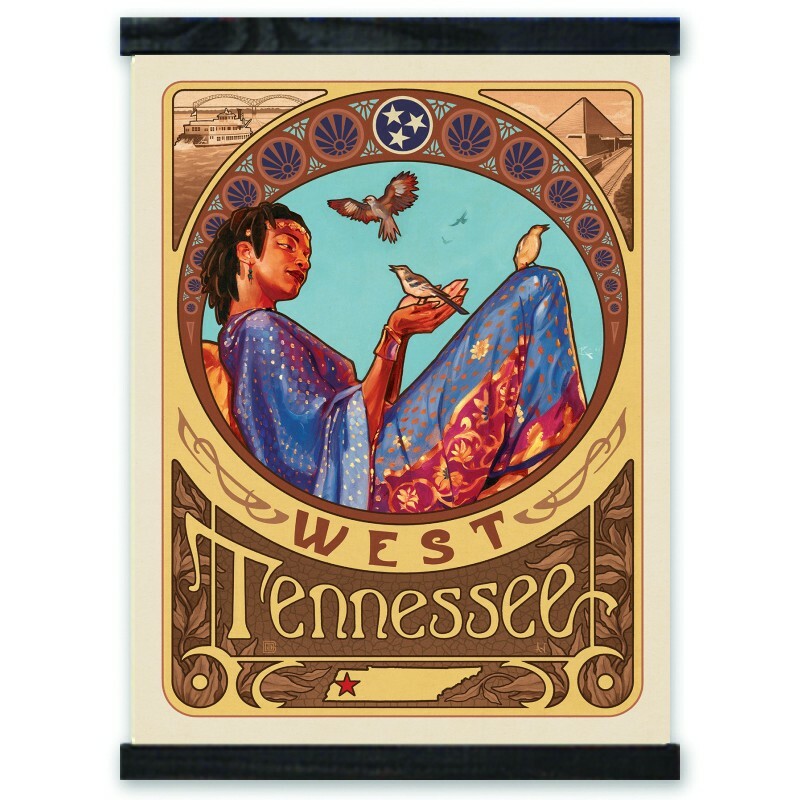 Show your state pride and decorate with all three!